Every person has the right to work in a safe environment. For over 100 years, most American employees have been assured this right and have been protected after accidents and injuries by the workers’ compensation system. The nation’s first form of Social Security, workers’ compensation provides medical care and wage replacement benefits to employees injured on or who fall ill because of their job. Ohio operates the country’s largest state-funded workers’ compensation system, insuring 244,000 state employers and processing over 99,000 claims last year. Here, we share the basics of the system to help injured workers and their families learn more about their rights and the options that may be available to them after a work-related injury. Medical care – Benefits are available to cover all the expenses associated with the care an employee receives for the work injury. These costs can include doctor visits, hospital stays, medications, surgeries, rehabilitation, home and vehicle modifications, and more. Wage replacement – When the injury forces the employee to miss work, it is possible to obtain compensation to make up for lost wages. These payments are typically made weekly and are based on several factors. In addition, there is other additional compensation that can be available depending on the injury and its impact on an employee’s life and ability to work. Who Is Eligible for Ohio Workers’ Compensation Benefits? With few exceptions, all workers in Ohio are eligible to receive workers’ compensation if they sustain a job-related injury or illness. State law mandates that all employers must carry a workers’ compensation policy to cover these situations. How Do I Obtain Benefits After a Work-Related Injury? Seek medical attention. To protect your health and your claim, seek medical care soon. It is vital to make sure you get the treatment you need, and seeking prompt medical attention can add strength your claim. Report the injury to your employer. Notify your employer of your injury as soon as possible. Many employers will have employees complete an injury report, while others do not. Regardless, report the injury in writing so there is a clear record. Your employer should offer you more information about how to pursue your claim. File a workers’ compensation claim with the Ohio Bureau of Workers’ Compensation. 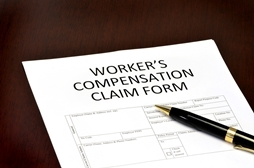 Ohio has a monopolistic workers’ compensation system, so claims are filed through the state. The proper forms can be obtained through your employer or via the Ohio Bureau of Workers’ Compensation (BCW) website. The claim can be filed by the injured worker, employer, doctor, or other authorized representative. The BWC will notify the worker if the claim has been approved or denied within 28 days. For both the initial claim and any appeals that may be necessary, an experienced workers’ compensation attorney can help injured workers prepare their claim and gather any supporting documents and evidence that may be necessary. The compensation and medical care assured by workers’ compensation can be vital to the physical, emotional, and financial health of injured employees and their families. If you have suffered an injury at work, you may be eligible to obtain these benefits, and the experienced attorneys at Monast Law Firm may help. Download a free copy of our book, The Worker’s Guide to Injury Compensation in Ohio, or call our office at (614) 334-4649 to learn more about the Ohio workers’ compensation system and what options may be available to you.